Parisians will soon be able to enjoy a truly egg-stravagant spa experience. 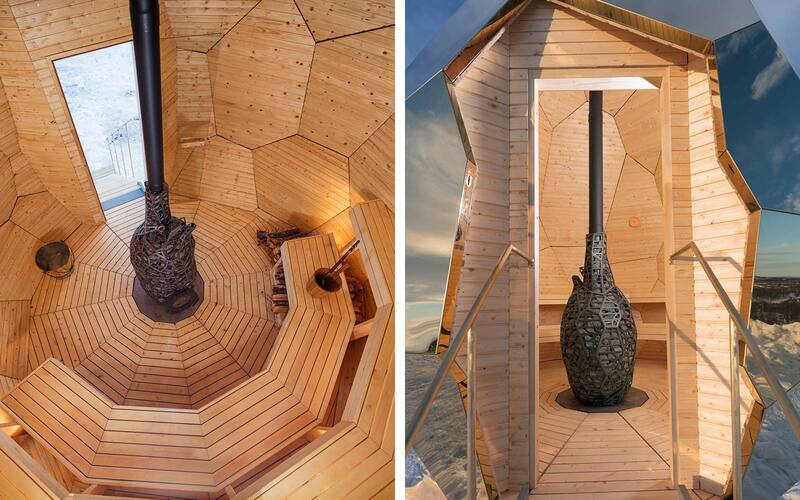 Solar Egg, the sauna shaped like a golden egg, has been delighting those in Kiruna, Sweden, for most of the year. The incredible egg was designed by Bigert & Bergström, and commissioned by the housing company, Riksbyggen. The outside of the egg isn’t made of real gold, of course, but of gold-mirror sheeting. The interior of the egg is made out of wood, and the center of the egg is an anatomically heart-shaped stove made out of iron and stone. Up to eight people at a time can bask in the egg’s warmth. The egg is now being transported to Paris to sit in the Swedish Institute, in hopes of promoting Swedish design, architecture, and fashion in France. The egg is just one exhibition of many in the Swedish Design Moves Paris initiative, created by Visit Sweden. Diana Orving, a Swedish designer, has even created special kimonos for visitors, according to Lonely Planet. 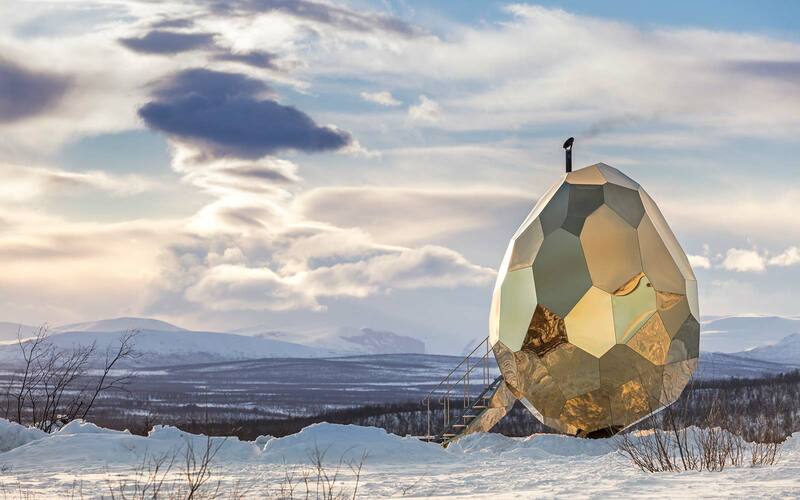 After the Solar Egg exhibition in Paris closes, the egg will head back home to Kiruna.